We designed a strong strategy around SEM on AdWords that worked closely with the mobile optimized website focused towards a higher conversion rate. This meant we were highly engaged with CRO and after many multi-variate tests and extensive A/B testing of various design ideas on many landing pages we arrived at some winning combinations. We were now able to match specific traffic sources like SEM and SEO to winning landing page designs. Designing a website with conversion in mind is the key to a successful SEM or SEO campaign that generates quality leads. A website that’s outdated, has bad flow of information and difficult to navigate can create a bad user experience that will cause frustrated users to abandon your site. This is bad for search engine rankings and our SEM efforts, because sending relevant and optimized paid or organic traffic to a bad website is the equivalent of buying a lottery ticket expecting to hit the big jackpot. Testing various technical and visual elements on the site and improving its content continuously by measuring its rankings in analytics is the foundation of achieving a site that converts well. This isn’t done in one day, but we worked week after week tirelessly and measured our results by leveraging Google Analytics, Zarget and other third party analytics platforms to give us a deeper understanding of what’s happening with the site’s engagement metrics across the board. 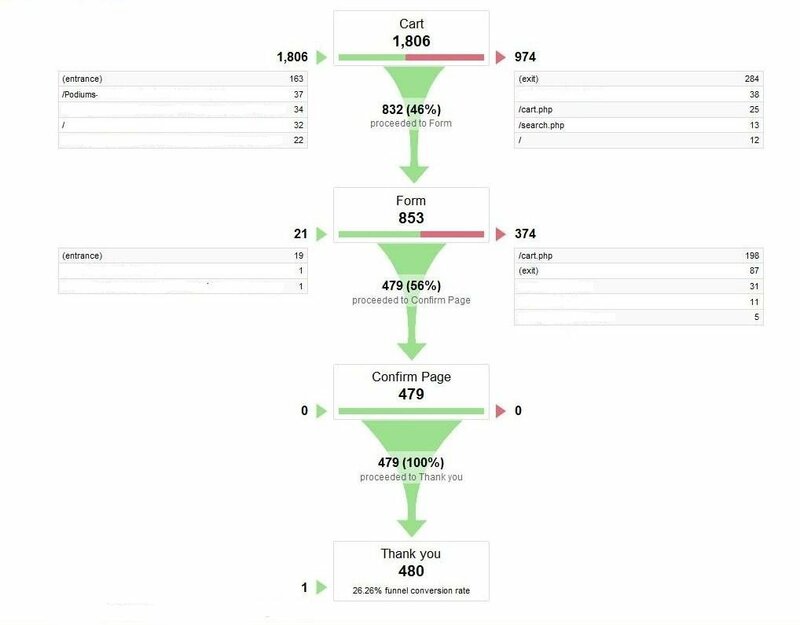 Setting up various funnels to track visitor flow, understanding user behaviour on the site through heat maps, click through rates and how the users interact with the site was a key cornerstone to converting cold traffic into potential customers with our digital strategy. Performing competitor research using third party tools and deciding which keywords to use is always an essential part of an SEM strategy. Implementing various forms of conversion tracking and testing its effectiveness was done to help us understand performance on the keyword level, adgroup level, campaign level and account level as a whole. If you ask abou quality score, most SEM agencies will never give you any straight answers about improving this part of the campaign, not just because Google purposely hides this closely guarded secret information, but also because they tend to ignore that aspect of campaign optimization entirely. This is the grey zone of campaign optimization and a lot of SEM agencies don’t want to mention this, because they love to ignore this part of SEM campaign management. Truth be told most SEM agencies don’t know how to improve the quality score properly or make reference to speculative articles online. However, we put a big emphasis on quality score and ad copy testing to boost CTR above all competitors at Algocentric Digital. As a rule of thumb during our SEM audit, we evaluate campaign structure, ad copy, call to actions, ad-extensions of all types, ad scheduling, campaign settings, geo-targeting settings, budget allocations, re-marketing campaigns, lost “low hanging fruit” opportunities, quality score at the keyword level, adgroup level, campaign level and account level. Setting up the campaigns structure properly, creating tightly themed ad groups, reviewing search terms reports regularly, using 1000s of negatives to ensure high quality scores is critical for SEM success. This one metric can often make or break the profitability of PPC campaigns because of the competitive nature of paid search today. Search Engine optimization can yield poor results if executed incorrectly. We know that, so we put our focus on “low hanging fruit” and strategized on how we could get faster results by capitalizing on competitor’s weaknesses on high intent keywords. We designed the website to ensure technical SEO would be set up for success in the future by following best industry practices. ON Page SEO and OFF page SEO strategy was designed for success right from the start. We focused on high intent local search terms and local directories to help boost the rankings. We’ve optimized the physical address in Toronto for local search, ensured consistency of structured citations, assigned proper Google My Business category associations, HTML name, address & phone number matching Google My Business Listing Name, address & phone number. Our secondary approach was to focus on inbound anchor text, linking domain authority, linking domain quantity, geographic keyword relevance of domain content, and reviewing 150+ other factors that are critical for local search. The third critical aspect of local search, to help solidify our strategy, was to focus on social signals such as (Google Engagement, Facebook engagement, Twitter engagement and other social channels). Next we checked behavioural signals such click-through rates, mobile clicks to call and check-ins to name a few. Then we followed it up by checking review and citation signals to top off the list. Our highly comprehensive approach to local search gave our client a sound strategy that paved the road to success and the results speak for themselves. Conversion rate optimization can often be tricky and while testing different variations we often find performance goes up and down in the short term, but the trick is to test it long enough to understand long-term conversion rate and its potential. The biggest part of conversion rate optimization when it comes to testing different ideas is that emotions do not dictate the final outcome, but data does. At Algocentric, we have many great ideas of what works and which designs we feel may work the best. What we find is that, almost always most of them differ from each other quite a bit and don’t repeat for other customers even in the same industry. A/B split testing is an experiment, ideally with just one variable in the equation. At the end of the experiment, there is always one winning design that’s entirely based on metrics tested against that design. Conversion rate optimization (CRO) allows all reasonable ideas starting from the CEO and down to the intern, to be tested, and all having an equal chance to have the best converting landing page or website. At Algocentric, we’ve seen some downright ugly designs convert much better than some pretty branded landing pages. When we focused on tackling specific design outlines for this site, one thing we brought into the design is our vast knowledge of what we learned over the years. That deep well of knowledge comes down to the fact that just because one brilliant idea worked sometime ago on one site, it does not mean it will work on this one or the next one, even if you’re in the same industry. This means every single idea must be tested regardless whether you think it has a low chance of winning or not. Second, we know to check our ego at the door when we begin testing client ideas and our own ideas as well. If you like a particular design, have a “gut” feeling that design will work best or you notice that everyone else is designing something a certain way, it shouldn’t automatically turn it into your top choice for testing. Data experiments and split tests almost always show us surprises. Does our new design get more quality leads or sales or is it having an opposite effect? Is our effort increasing conversions for the client or making it worse? Is our conversion rate dropping or increasing? Are the pages becoming more engaging or not? Is the bounce rate dropping or increasing? Is time spent on site and specific landing pages being split tested increasing or dropping? 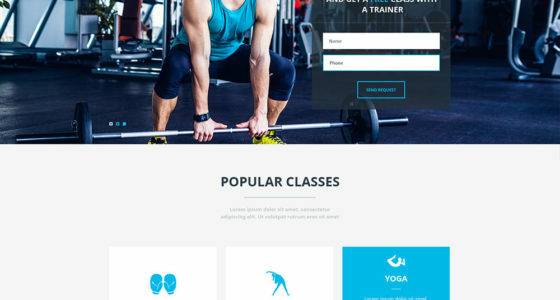 Which parts of the landing page are the most engaging and which need improvement? Are the most critical elements above the fold or below the fold? Does the layout make sense or do we need to move things around? How many distracting elements are on the page and which need to removed? Do we have unnecessary social links or other distracting links that don’t help increase conversion rates? At the end of the day after split testing different offers, layout designs, various button colours and ad-copy over a long period of time, we were able to find the winning design for certain landing pages and match it with specific ad-copy to boost the conversion rate by 120% – 190% across different campaigns. This meant we’ve optimized our traffic sources to work in tandem with the best performing landing pages and almost double website inquiries on the same budget.